Each and every day I think of what I can write that will truly help people further understand the dynamics at work in our global economy. In the course of my writing I am often drawn to specifically help those who have been defrauded or abused by the system that operates on Wall Street and in Washington. I derive tremendous personal satisfaction in providing an outlet and a sympathetic ear to those who feel that few if any people are in their corner. No group of investors and individuals deserves greater sympathy and a stronger voice than our fellow American citizens so badly mistreated in the entanglement of auction-rate securities. While many within our nation and the markets today may care to focus on recent earnings reports, a rebounding equity market, or the upcoming long weekend, let us remember that there are thousands in this country who still experience real pain from the ARS scandal. Is it easier to forget about them? If you care. I choose to reach out to them again and spread their stories of real pain and anguish. Why? Two reasons. First and foremost, I hope that this commentary incorporating individual comments of those stuck with ARS will attract the attention of others who can make a difference in rectifying this massive injustice. Secondly, I hope this commentary will cause all who read it to stop and reflect on how we as a nation can allow innocent and unsuspecting citizens to experience such heinous treatment from those who distributed the ARS and regulators as well. What does this say about our country? I implore anybody reading my work to take an extra minute or two and appreciate that the individuals who wrote the attached comments continue to suffer. They have extensive company. How do they suffer? THEIR money which continues to be frozen was intended for retirement, college education, and so much more. I stand with these individuals. I hope you will also stand with us and spread this story so their pain can be ended and their money returned. These comments are a mere cross section of the multitudes I have received over the last two plus years. I too have been burned by the ARS mess. I own Jefferson County, Al. water & sewer ARS sold by Morgan Keegan. I moved my account to Raymond James when the @#$# hit the fan. I have had good service in other areas at RJ but I am repeatedly advised to hold tight, that I will be made whole when the water/sewer board is able to refinance the debt. Mine was a 35 day commitment and the broker lied to me, and without permission, put all of my ARS cash in the same Jefferson County instrument. My business is struggling because of this mess. Does anyone else own Jefferson County ARS and do you have any advise as to what to do now? I am right there with you; stuck and feeling powerless. I called my Raymond James FA on Friday and he insulted and embarrassed me in front of my employee. I reported the incident to his boss and got better treatment but of course no results or any promise of recovery. They continue to maintain there arrogant position. I am seriously considering arbitration but will start by filing complaints with every regulatory agency I can. I am so emotionally drained from this ordeal that I turned the file over to my part time Admin Assistant for help. I am truly at my wits end. Raymond James and have been powerless. They have now also started to discount the value on the statments. When questioned, they say it is third party valuation as there is not market for these securities. Seemingly according to Alvarez and the Federal Reserve the banks needed the cash more than the individuals and institutions to whom it belonged. After 3 years of fury at having been defrauded, I am more furious than ever. I was one of the people who filed a complaint with the SEC. I followed it up. I called them, and got “investigators” to return my calls. They seemed so sincere. They were patsys at best. I have wondered for three years how a $330 BILLION fraud so central to the collapse of our economy could go virtually undiscussed. I wondered why Congress held a hearing, and then essentially talked about something else. I have my answer, after three years. The fix was in. They had the money, and they decided to keep it, because they could. Now someone tell me what I’m supposed to believe in when I hear “United States Of America.” I have lost my trust. Been reading you and following your concern for all of us who own ARS….it’s been 3 years and my husband is 81 and I can’t wait for ARPS to be redeemed any longer….I started arbitration against the financial advisor who sold them to me and I am finding it will be a very expensive as I have to get a lawyer since he has one.. The ARPS he sold us are Blackrock and MFS two very active financial rich companies….My question who is responsible to get my money returned…The financial advisor who advised us to purchase them ??? and why can’t Blackrock and MFS give back our funds after 3 years…I have since left the advisor as of course I lost faith in him…it seems I have no choice but to go to arbitration but of course I could lose and it will cost a lot of money as well. What to do??? Thanks for being there and keeping this terrible injustice alive…. Hi Larry, On behalf of all Ars victims thanks for keeping the fight alive. I have been stuck in Ars for over 3 yrs and have not seen one penny back from Oppenheimer &co. 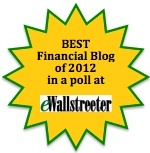 I have learned a few things about where I stand in the financial world. Nowhere. Only after you have been lied to, manipulated out of your money, and robbed do you find out there is no recorse or protection for you out there. If you happen to get your money back after you were the victim of some scheme it’s only because it served some other purpose or you got lucky. The SEC, FINRA, almost all AG, put NY at the top of the list, and the rest of the governmental agencies exist to protect the financial industry from real damage. They are not there to watch over you and your money. 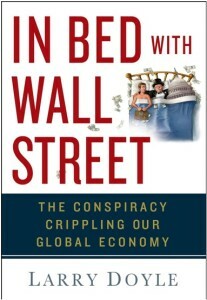 The guise of investor protection allows you to sleep at night believing your money is safe. When you realize that you have been done wrong and turn to one of the angecies mentioned above for help and get treated like your the criminal it hits you how screwed you really are. Anyone still stuck in Ars that attempted to get their money back can attest to that. Raymond James sold me Nuveen muni ARPS instead of treasuries (which I suggested) and has stonewalled for 2 1/2 years. My broker keeps telling me Nuveen will redeem them… What do you think? Are regulators going after RJ? My kids’ college money is locked up – legal fees will eat up too much of it, secondary market is a huge hit. I too have waited for over two years to get my money, my story has the added pressure of having to borrow money against these illiquid bonds to cover money earmarked for taxes. OPCO was informed that some of the money they were “protecting” for me had to be sent to the IRS by April 2008. Every month I lose money by having to sell stocks/bonds at a loss to cover the interest payment. I’ll add to the above the rude, hostile treatment I’ve received at the hands of Oppenheimer. They’re just mean, bitter people who have no regard for clients. Why would anyone ever invest a nickel with Oppenheimer when here on this page you have a list of firms who do the right thing for their clients? For the uninformed, the Massachusetts complaint vs. Oppenheimer asserted that senior management sold their own prive ARS holdings upon hearing that the auction rate market was tanking, and neglected to notify their clients. Is this who you want managing your money? Since the meltdown I moved money to 3 of the brokerages listed above and all have been above board and ethical. AVOID OPPENHEIMER LIKE THE PLAGUE. I have worked hard and saved my whole life while I watched my friends by bigger houses, boats, jet skis, nice cars and everything else they don’t need. I saved and saved and one day my broker says why do you have all that money just sitting in a money market account? You could get three times the interest and still have it liquid. Better yet, the interest is TAX FREE. I moved my money and now it’s like I don’t have it. I can’t touch it even though it is mine! A lifetime of savings has been robbed from me and no one seems to care. This is the first new article I have seen about ARS in over a year. How this isn’t more of a story is beyond me. When I stated that I need my money the firm’s lawyer said that I should have thought of that before investing. When I said that I stated that I needed the money to be safe and liquid she said I should have read the prospectus (that I never received). That’s what is great about this country. We will screw anyone in the name of business. This story needs to be FRONT PAGE NEWS!!! This is America? A nation that waves its flag touting ‘liberty and justice for all’ allows the pain and injustice embedded in these comments to go unheeded. Something is seriously wrong. This is not the country that I want to leave to my children. I want real justice and real liberty for all our citizens, especially those abused by financial frauds, such as ARS. I plan on continuing to voice that opinion loudly. God Bless our America and all those who cherish real liberty and real justice. Perhaps somebody with a conscience inside the industry may care to share some insights. Your anonymity is TOTALLY protected. How about it? Do you recognize some of the pain expressed above from some of your clients? Got a conscience? Did your management run you over just as you ran over your clients? What kind of country do you want to leave your children? Did you just get a pit in your stomach? That’s right. I’m talking to you. Go ahead, talk back!! This entry was posted on Thursday, April 21st, 2011 at 8:05 AM	and is filed under ARPS, ARS, Auction Rate Securities scandal, General. You can follow any responses to this entry through the RSS 2.0 feed. You can skip to the end and leave a response. Pinging is currently not allowed.